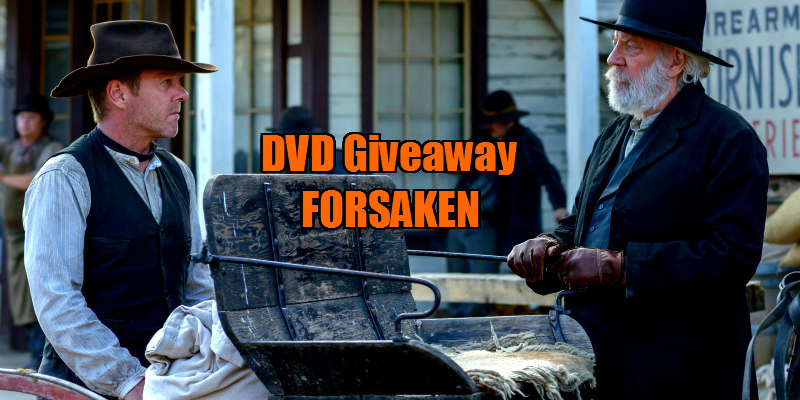 Did You Win Kiefer/Donald Sutherland Western FORSAKEN On DVD? 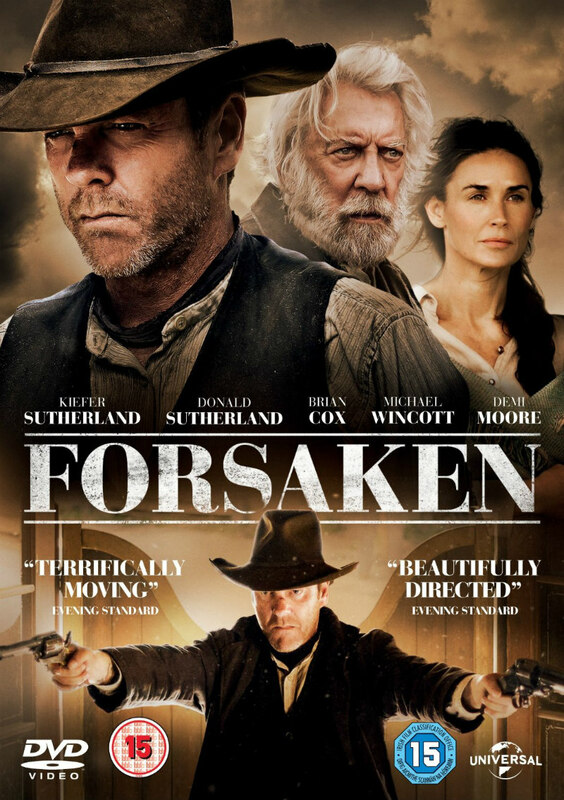 Western Forsaken, which teams Kiefer and Donald Sutherland, arrives on UK DVD July 11th, and we've got three copies to give away to UK readers. Sharing the screen for the first time, Donald Sutherland and Kiefer Sutherland star in Emmy Award-winning Director Jon Cassar’s brooding western Forsaken. A story of an estranged father and son’s reunion, the mending of old wounds and searching for redemption whilst tensions run high in a community besieged by ruthless land-grabbers, the stellar lead cast is completed by Brian Cox, Michael Wincott and Demi Moore. In 1872, John Henry Clayton (Kiefer Sutherland) retires as a gunfighter and returns to his hometown of Fowler, Wyoming in the hope of repairing his relationship with his estranged father, Reverend Clayton (Donald Sutherland). However, he soon learns the town is in turmoil, as the railroad will be coming through the area and a criminal gang controlled by ruthless businessman James McCurdy (Brian Cox) is terrorizing ranchers who refuse to sell their land. Despite constant harassment, John Henry remains true to his vow to not wear his guns, ignoring the pleas of the townsfolk, who in despair have turned away from Reverend Clayton’s preachings of non-violence and urge his son to stand up to McCurdy and his thugs. John Henry is conflicted. By forsaking violence, he has finally received forgiveness from his father and after years of estrangement but one’s past has a way of being more than a memory that can just be forgotten. Forsaken is available on digital download from 4th July and Blu-ray™ and DVD from 11th July.